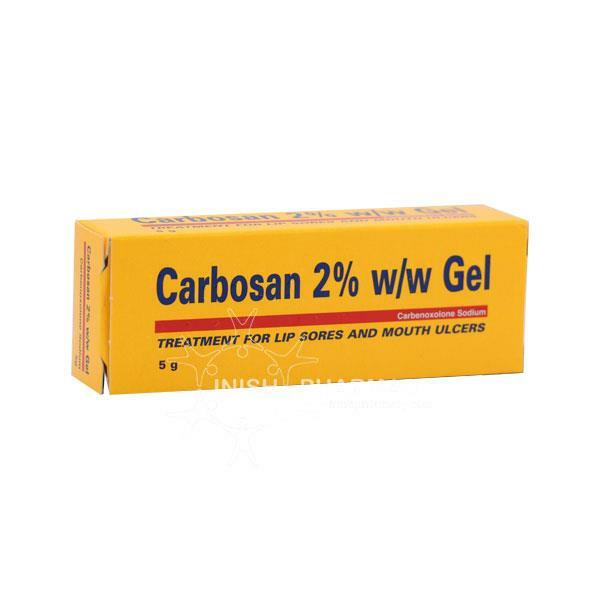 Carbosan Gel is used to treat lip sores and mouth ulcers and promote their healing. Carbosan contains an ingredient called carbenoxolone sodium which can help enhance the production of protective mucous in the mouth. Do not use Carbosan Gel if you are pregnant or breastfeeding.